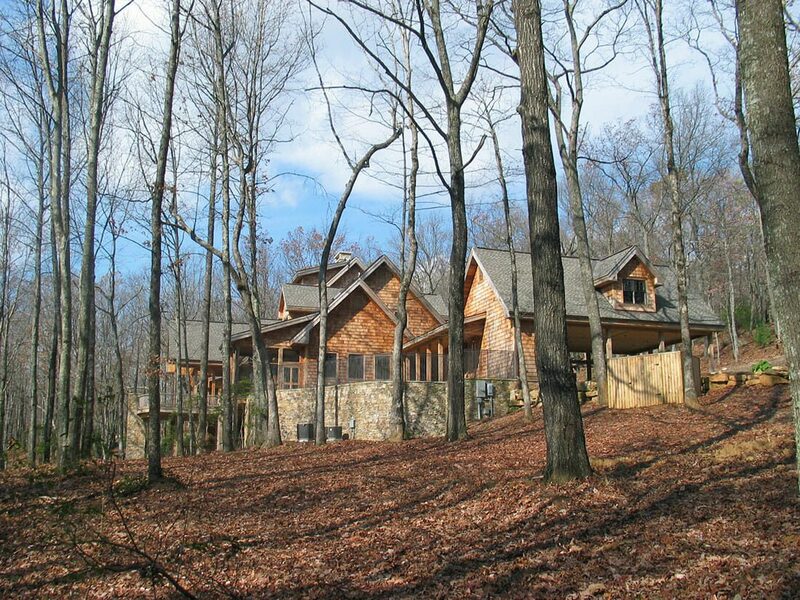 This private residence is situated in the mountains of the upstate in a growing private community. 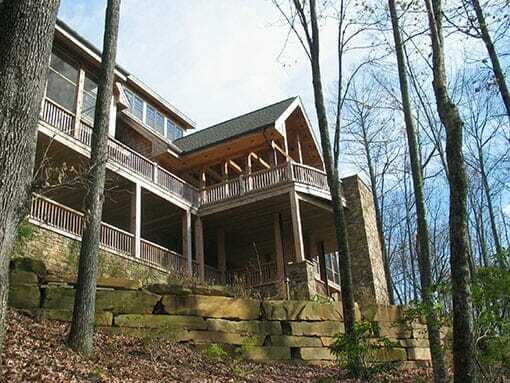 The house is carefully embedded within the wooded hillside and is oriented to the southwest to afford views toward nearby Table Rock and Caesar’s Head. 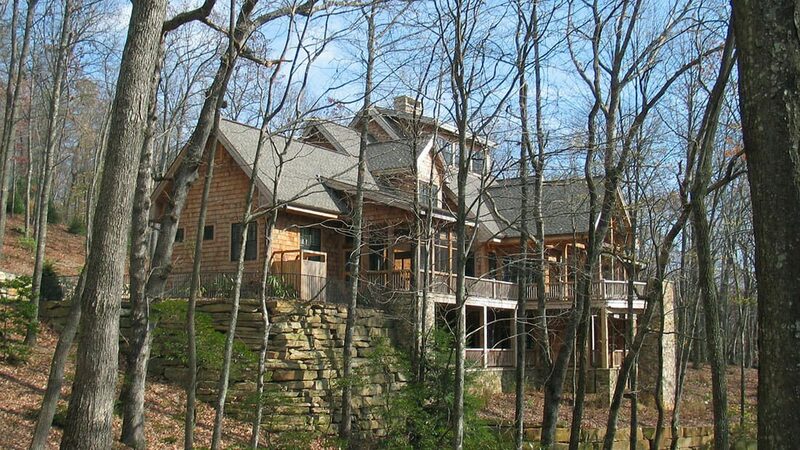 To help minimize the impact to the natural landscape, the exterior materials chosen are indigenous to the region and include local stone and cedar-shake siding, as well as architectural shingles, clad windows, copper roof detailing, and wrought iron. The predominantly open plan, centered around a double-height main living space, is arranged to maximize accessibility to the continuous deck and porches along the view-side. 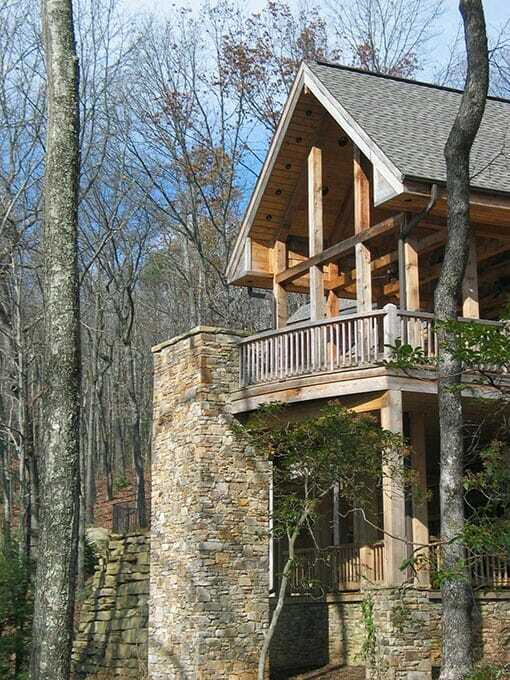 In addition, the house is wrapped with numerous stone-clad patios offering additional informal gathering spots. 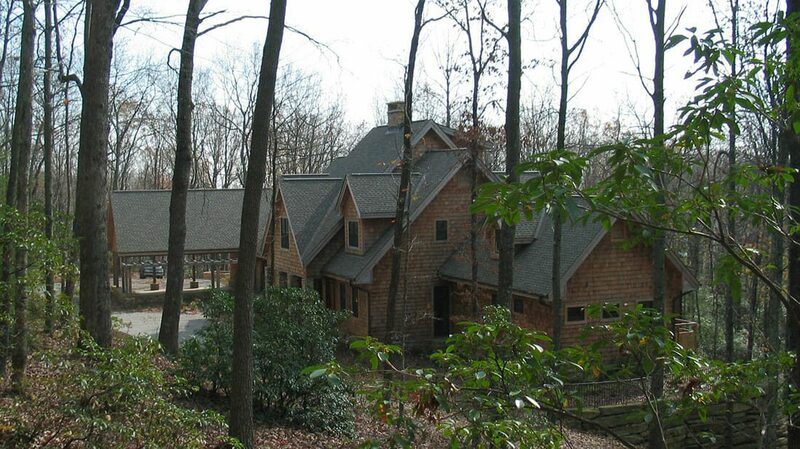 From the northern edge of the property, the winding entrance drive skirts the perimeter of the site and leads past the main entry on its way to a separate, connected carport.